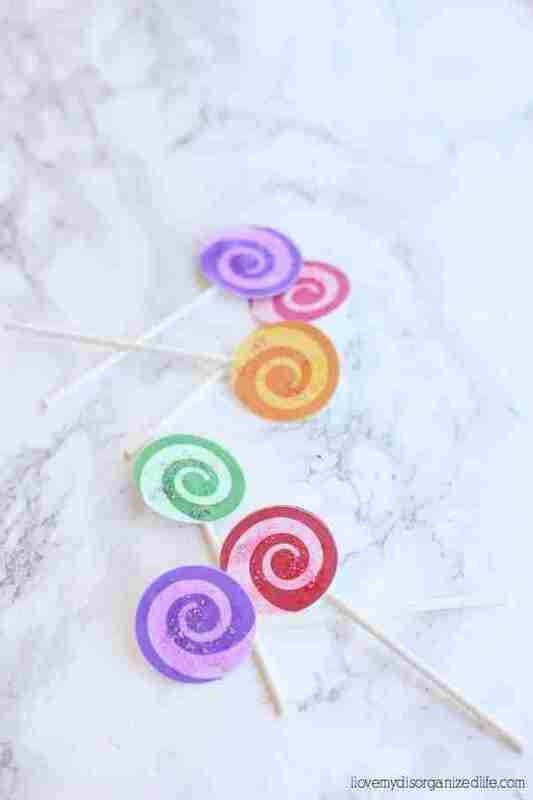 Lollipop cupcake toppers are easy to make, festive and colorful, exactly what every party needs! 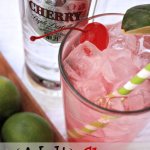 Perfect for a ‘candy’ party theme. The best part? 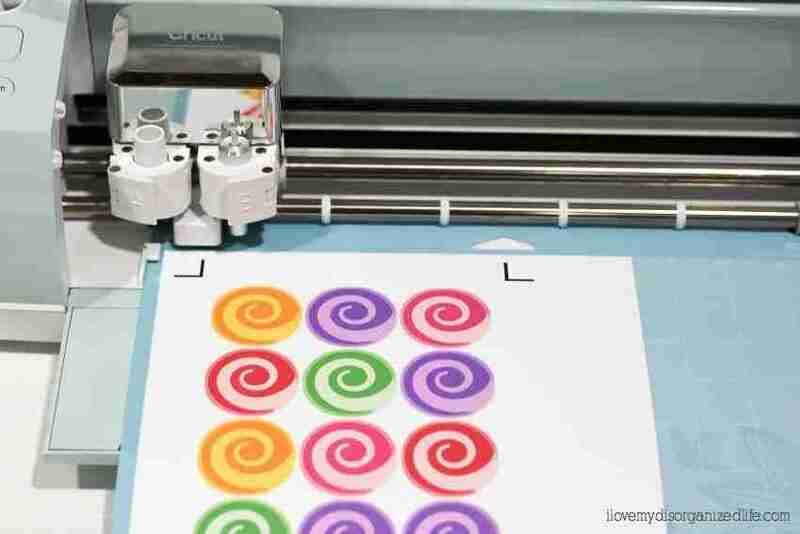 They can be made quickly and easily with the Cricut Explore Air 2. One of my favorite ways to celebrate pretty much anything is with cupcakes. Whether it’s a birthday, baby shower, special holiday or just because, cupcakes are the best. 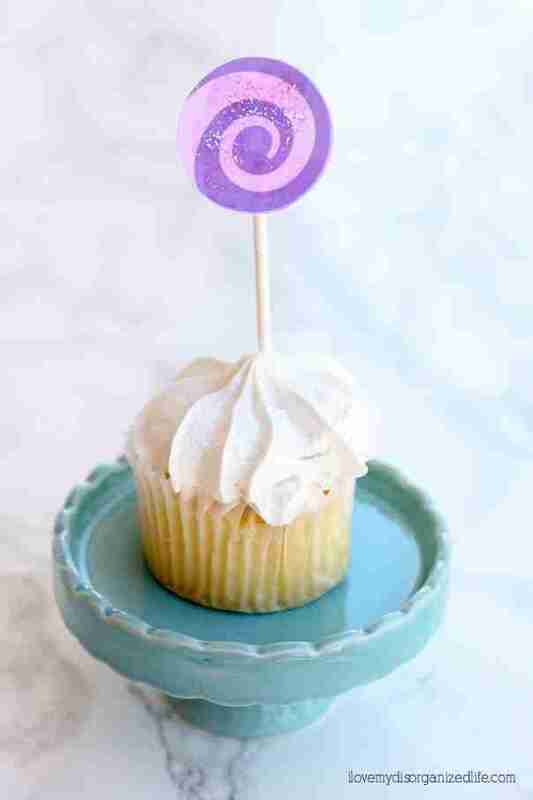 And, you can’t have a cupcake without a cupcake topper. 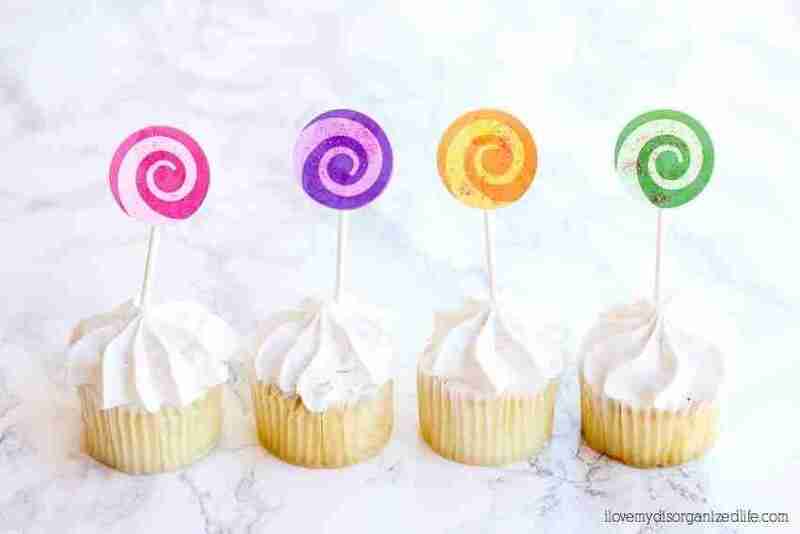 My new favorite is these lollipop cupcake toppers that I made with my Cricut Explore Air 2. 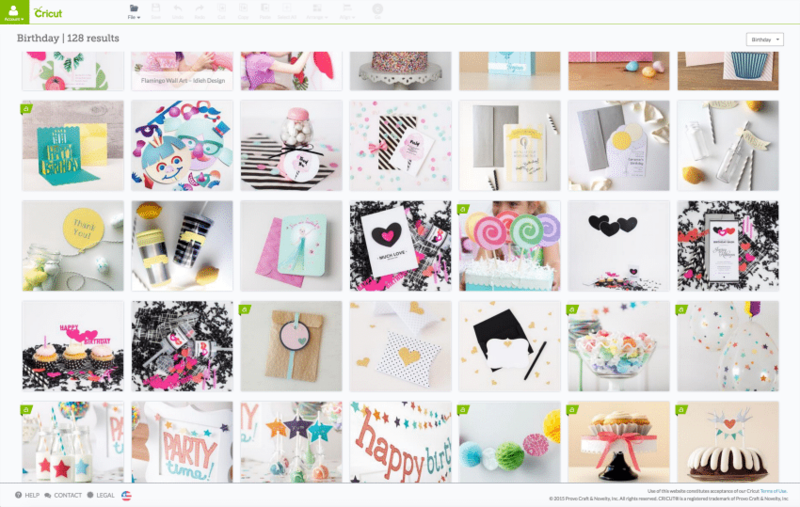 They are Make it Now Project in the Cricut Design Space and included with Cricut Access. They were originally large enough to put on a cake, but I re-sized them for cupcakes. Once you log into your account, search ‘birthday’ in the upper right corner. Scroll down until you see the project and then click on it. 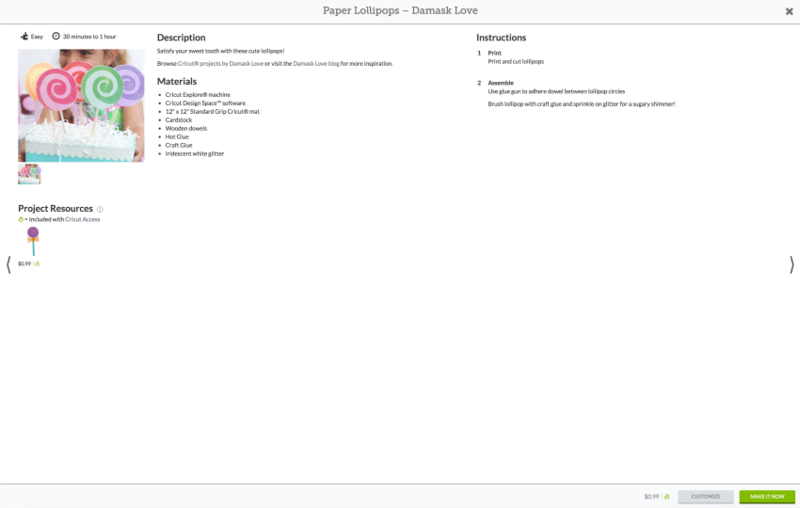 This will show you a list of materials needed to complete your project. Don’t worry if you don’t have all of the supplies needed. Most of the time you can improvise. This project called for hot glue, but I opted to use glue dots instead, which worked great. If you like the size, simply click ‘make it now’ in the bottom left corner. I re-sized the lollipops, so I selected ‘customize’, which is next to ‘make it now’. To re-size, simply click on one of the lollipops, click edit in the upper right corner and type in the size you want it to be. I choose 1.5 inches for the width. Once you have them all resized, space them out on the mat, being sure to give enough space around the edges. You will need this room for the registration marks to print. 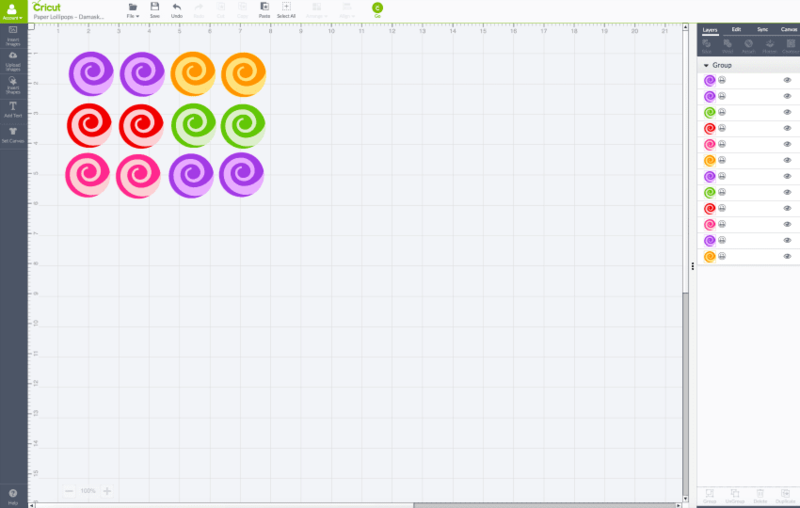 Click the green ‘GO’ button at the top near the middle of the design space. You will see you project on the board ready to go. 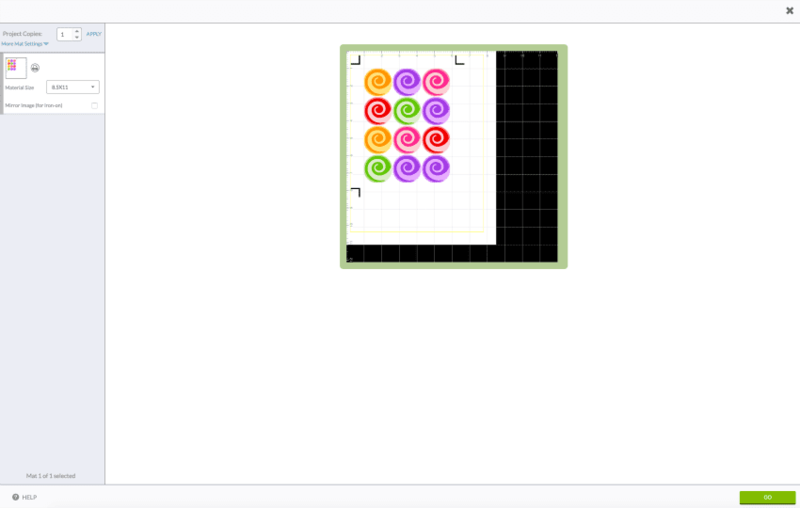 If all looks good, click the green ‘GO’ button in the bottom right hand corner. All you really need to do from here on out is follow the on screen directions for printing and cutting your design. Make sure your printer is on and the cardstock is loaded into it. Click the green ‘print’ button. Once your project has printed, you will need to place it on your mat. Line it up with your machine and click the flashing arrow so it will load. 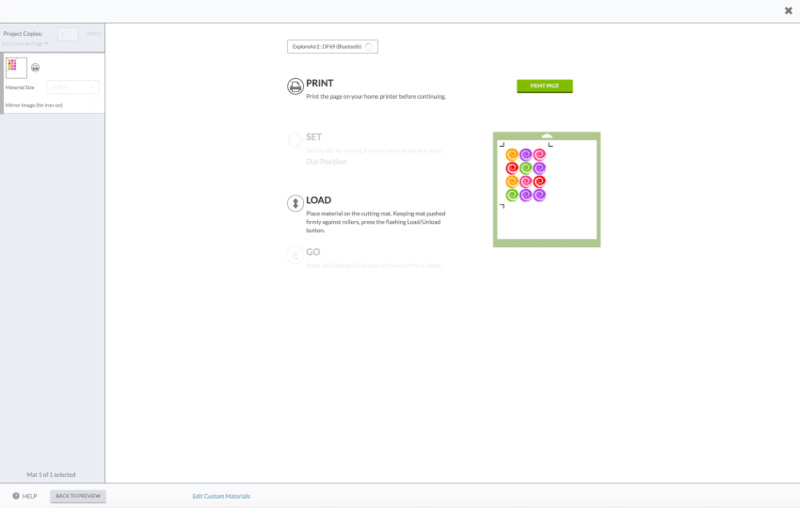 Once loaded, click on the flashing Cricut ‘GO’ button. 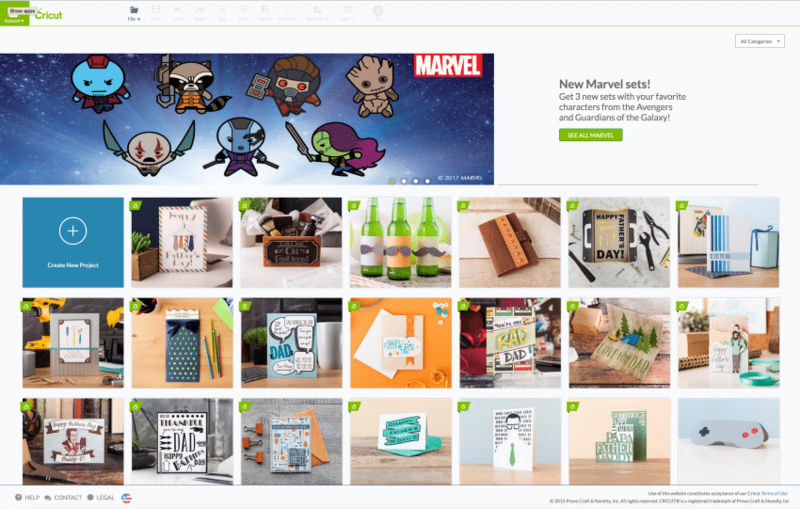 Your Cricut Explore Air 2 will automatically read the registration marks and begin the cut process. Once the cut is complete, you will be prompted to unload your mat. Carefully remove your project pieces. 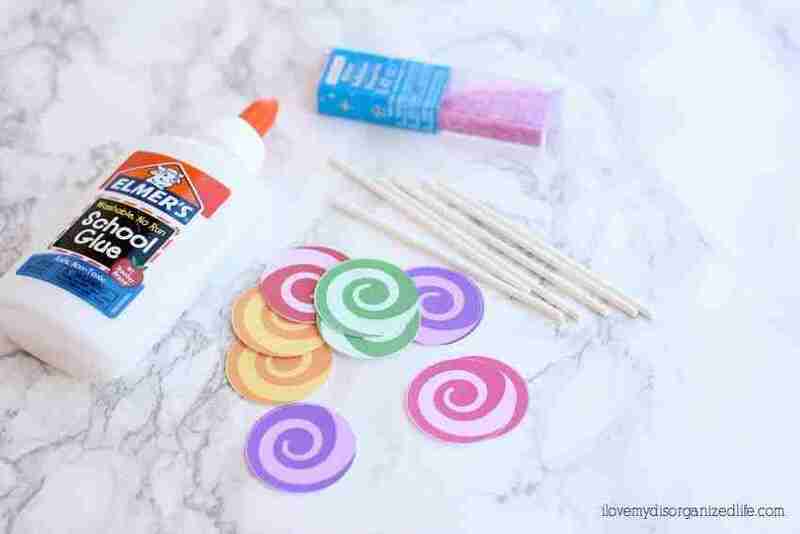 Working on a clean, dry surface, use your finger to dab craft glue onto the fronts of the lollipop pieces. 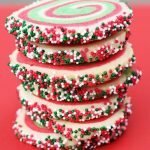 Lightly sprinkle with glitter and let dry. Once the glitter is set, use the glue dots to adhere a stick to the back of each one. 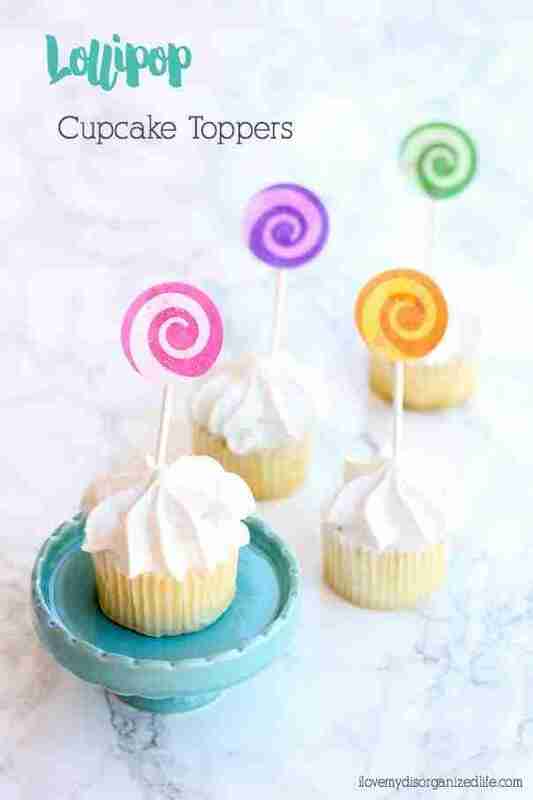 You can make these lollipop cupcake toppers two sided by simply attaching another lollipop to the back. I chose to do single sided. Place the lollipop cupcake topper into your cupcakes and you’re ready to party!